ANAHEIM, Calif. (NRB) – Social media is about more than building audiences and can be used to build God’s Kingdom, according to Nona Jones, Facebook’s director of global faith-based partnerships, during the Digital Media Summit at Proclaim 19, the NRB International Christian Media Convention in Anaheim, California, March 29. Jones, whose role at Facebook allows her to interact with different religious organizations, believes the Church’s responsibility to its people is discipleship, yet Christians often think about church only in terms of the building in which people congregate in each Sunday. In a recent Gallup survey Jones cited, research states that two-thirds of churches in America are declining or plateauing in attendance, and more than 80 percent of people are not attending church in person or at all. If people are not attending church in person, Jones asked churches to think about how they can reach that 80 percent. She used her session to explore how churches can use social media to develop disciples both within and outside their church walls. “There’s a vast sea of people who are searching but who won’t drive to a building to find what they’re looking for because they don’t even know what they’re looking for,” she said. Jones’ job at Facebook has helped her envision what using social media to drive conversations and relationships would look like within a church and religious context. “The goal is discipleship,” she said. This involves seeing social media as more than a tool for building an audience, and instead using it to build followers of Jesus. She encouraged people to use Facebook groups as a primary tool to reach people, while also emphasizing taking relationships from online to offline in person can make all the difference in discipleship. “God wants to do something new with social technology that we’ve never comprehended before,” she said. 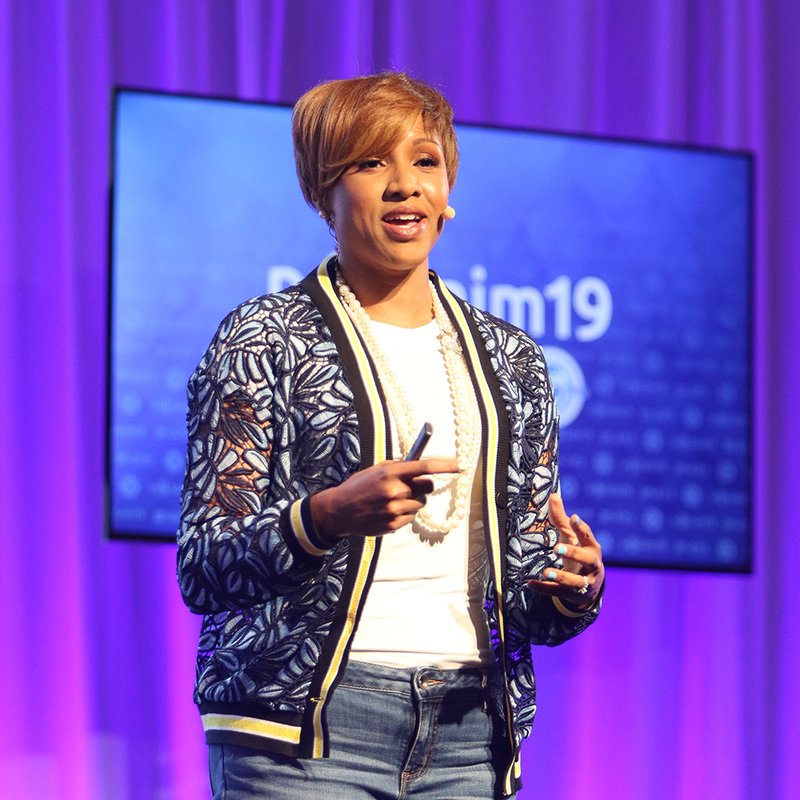 Earlier in the Super Session, Stacie de Armas, The Nielsen Company's vice president of strategic initiatives and consumer engagement, talked about how social media and technology are used within the Hispanic community for connection, information, and identity formation. She began with a brief overview of the Latino community in America and how what it means to be Hispanic in the United States has changed in the last 30-40 years. Community, culture, and content are three essential areas of interaction for the Latino community, according to de Armas. As they value community, and because 18 percent of the US population are Hispanic, it’s essential for the Church to rethink how to engage Hispanics well. De Armas shared other statistics relating to the American Hispanic community and social media usage, including Facebook sharing and the correlation between social media and identity formation. This predisposition, she explained, makes the Latino community more open to dialogue around religion and discipleship. Like all humans, people within the Hispanic community are looking for somewhere to belong and the Church sits in a pivotal place to reach people for their good and the growth of the Gospel, de Armas said. De Armas and Jones were two of several media experts who spoke at the one-day NRB Digital Media Summit. Other speakers were Lisa Anderson, director of young adults and host of The Boundless Show at Focus on the Family; Rob Kirkpatrick, executive director of audio content creation at Focus on the Family; Larry Rosin, president of Edison Research; Rob Walch, vice president of podcaster relations and host of podCast411 at Libsyn; Greg Outlaw, president & CEO of All About GOD Ministries, Inc.; and Nick Runyon, executive director of CV North America. Kenny Jahng, founder & CEO of Big Click Syndicate, served as the summit’s emcee. 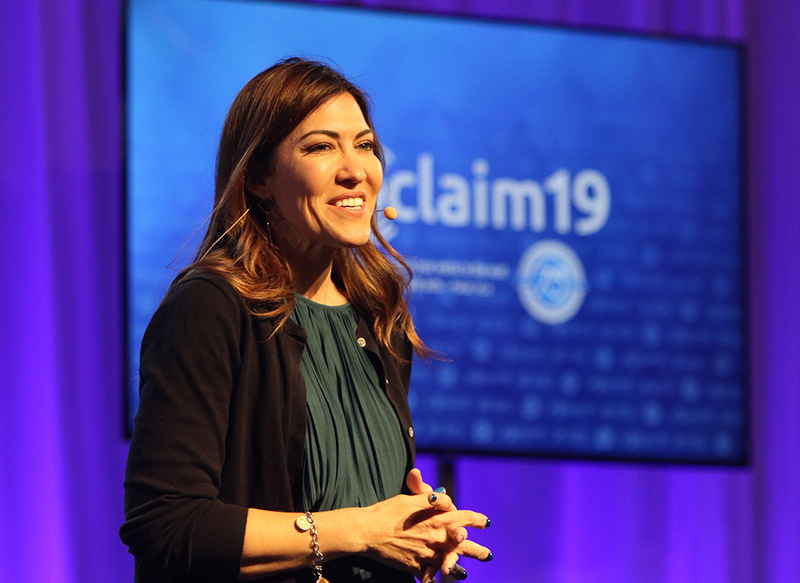 The Digital Media Summit was one of four industry summits hosted by NRB during the week of Proclaim 19. Other summits included the Great Commission Summit (March 25), TV & Film Summit (March 27), and Radio Summit (March 28).